In a recent report, we looked into the consumer electronics market; Specifically, we wanted to find the differences between early adopters of new technology and the press when it comes to new tech releases. How do consumer opinions differ from the press? Does media feedback influence consumers? To do this, we formed two audience segments within Infegy Atlas. The first included users who had a history of posting about trying out or using new electronics either before they came out, or right when they were released. The second was a press segment, which included users that posted on behalf of a news organization of some sort, whether this was a tech blog, magazine, or anything of the like. Once we had our two separate groups, we performed searches of new technologies in the consumer electronics market on the dates the products were released. From this data, we are able to draw some worthwhile conclusions. Looking at brand-specific findings, Apple is more popular with consumers and early adopters than it is with the press. Additionally, Apple is talked about more positively by consumers than it is by the press. Consumers appear to be Apple’s largest advocates. Apple’s foremost competitor, Samsung, is discussed more often by consumers than it is by the press. The difference between chatter around Apple and Samsung lies in the positive sentiment. 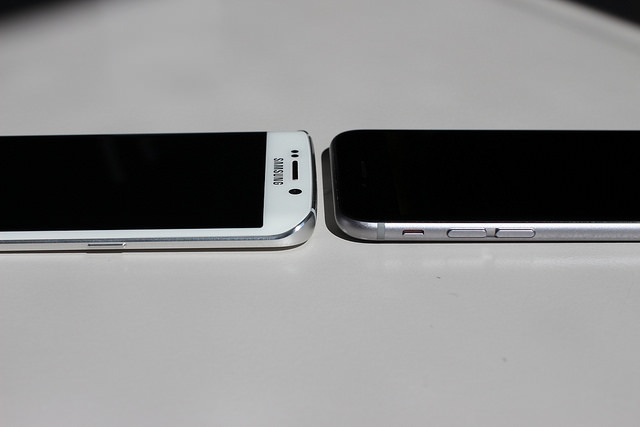 The press favors the Samsung brand more than consumers do, and also prefers Samsung to Apple. In a more general sense, early adopters are less concerned with the cost of new tech and more concerned with whether or not a new piece of technology meets their performance expectations. On the other hand, the press is most concerned with the pricing of new technologies. Finally, we were able to determine from our research that the Consumer Electronics Show in Las Vegas is very important to both early adopters and the press. This is likely where each group receives a great deal of information regarding new tech releases, so it would be wise for a tech business to market a new product or advertise at the show. To view the entire PDF report around consumer electronics, click here.